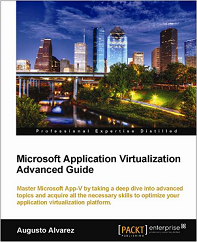 For several months I’ve been working in a new App-V book: “Microsoft Application Virtualization Advanced Guide”, containing advanced topics to cover all what you need to know to master Microsoft Application Virtualization processes. This book includes also new features in App-V 4.6 SP1. 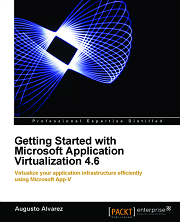 The “Microsoft Application Virtualization Advanced Guide” represents my second App-V book; the previous one “Getting Started with Microsoft Application Virtualization 4.6” was developed a year ago with the basic guidance and step-by-step to get IT administrators started with App-V. This new book is currently available for pre-order in Packt Publishing website (paperback and eBook versions) and hopefully soon enough in Amazon’s (including a Kindle edition). Review App-V integration with VDI (Virtual Desktop Infrastructure) and Remote Desktop Services. Note: We will not cover the topics reviewed in the “Getting Started” book. 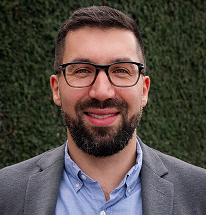 This version assumes that we’ve already implemented and used Microsoft App-V; presumes that we are looking to optimize our implementation and learn advanced concepts. In this book, which will contain approximately 450 pages total, I had the great pleasure to work again with Packt Publishing and the same crew of App-V experts that made important contributions in my first book: Aaron Parker, Kevin Kaminski and Nick Källén. The first book was awesome, and now I’m looking forward to get this new one! Congrats Augusto.